Napier: Mohammed Shami on Wednesday added another feather to his cap becoming the fastest Indian medium pacer to complete 100 wickets in one-day internationals (ODIs). 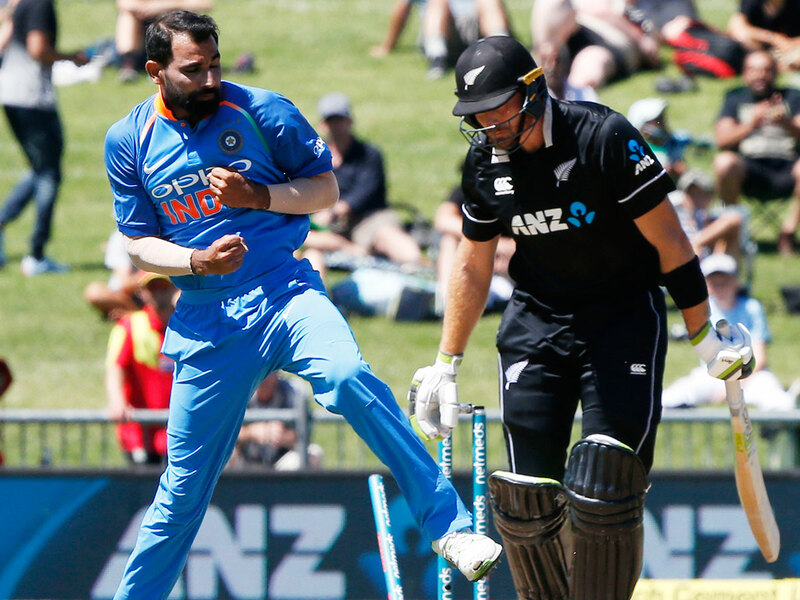 In the ongoing first ODI against New Zealand here, Shami sent back Kiwi opener Martin Guptill to the stands in the very first over achieving the feat. Earlier, the Indian record was held by left-arm medium pacer Irfan Pathan, who had picked his 100th wicket from 59 games. Shami achieved it in 56. Zaheer Khan (65), Ajit Agarkar (67) and Javagal Srinath (68) complete the top five fastest bowlers from India who have fastest 100 wickets record. Overall, Shami is now tied with New Zealand pacer Trent Boult as the sixth fastest to 100 wickets landmark in terms of matches played. Afghanistan sensational leg-spinner Rashid Khan tops the chart, reaching the milestone in just 44 ODIs. He is followed by Mitchell Starc (52), Saqlain Mushtaq (53), Shane Bond (54) and Brett Lee (55).